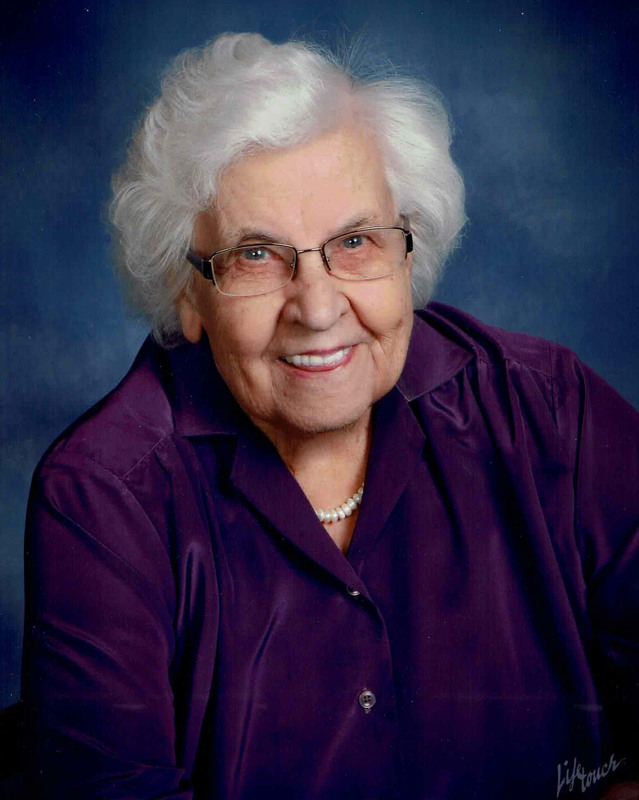 Marion Moberg, 94, passed away on August 16, 2018. Marion was born on December 28, 1923 in Willmar, MN to Martin and Mabel Moberg. She graduated from Cokato High School in 1941 and then earned a Bachelor of Science degree in Home Economics from the University of Minnesota in 1945. After graduation, Marion taught Home Economics in Mora, Minnesota for 2 years before returning to Cokato to work as an accountant for the family car dealership, Moberg Motor company. She continued at this position for 37 years until the dealership was sold. Marion continued to use her accounting skills by working for Covenant Retirement Communities in Florida and California for the next few years. After retirement, Marion moved to the Twin Cities area where she taught ESL (English as a Second Language) to adults through Creekside Community Center in Bloomington. Marion was active in the Elim Mission Church in Cokato, singing in the choir and teaching Middle school Sunday school classes. When she moved to the Twin Cities, Marion attended Bloomington Covenant church, where she helped with a card ministry. Marion enjoyed knitting and made several beautiful sweaters for her nieces and nephews and their children. She also made them several beautiful quilts. From time to time, Marion would fish for sunnies and watch for loons and hummingbirds on Lake Sylvia at the family cabin. On a daily basis, she kept up with current events and enjoyed discussing them. With equal faithfulness, she completed crossword puzzles and read books, often passing her books on to others. Throughout her life, Marion traveled to Hong Kong, Tokyo and Mexico City, as well as various places around the United States. She loved the Lord and she enjoyed talking to people. She loved much and she was loved much. She will be missed here on earth, but she is rejoicing in heaven with Jesus and family members who have preceded her. Marion was preceded in death by her parents, Martin and Mabel Moberg, her brother, Waldo Moberg and her nephew, Joe Moberg. She is survived by her sister, Audrey Anderson, her sister in law, Janet Moberg, nieces Connie Moberg and Carol Vandergon and nephews Brad and Mark Anderson, great nieces JoRae Stockdale, Jessica and Sarah Anderson, Kaylen and Jenna Vandergon and great nephews, Daniel and Benjamin Anderson and Joel Vandergon.